crackle + hum - crackle+hum blog: Come along on my adventures in beauty, food, family, and travel! Somehow the first month of 2016 is over. I'm not really sure what happened to January. It just sorta got sucked up in the vortex of day to day life. I sat down hoping to write some fun post about everything we have been doing the past couple of months, but now that I'm here, I'm not sure I feel like it. I've rewritten this post several times on different things, all of which felt good to write, none of which felt right to publish. I guess I just want to say that life is beautiful, and heartbreaking, and brilliant, and messy, and wonderful. I think I need some sunshine, sand, and salty ocean water. Who's with me? So how are we already in the ninth month of the year?!? Sometimes I feel concerned with how quickly time is starting to pass by. We have been very busy the past couple of weeks, with things like baby showers, aquarium visits, packing up our apartment, putting half our stuff in storage, taking a CPA exam, heading to Arizona to spend a few weeks with David&apos;s family, and more. I&apos;ll try to do a couple extra posts this week to make up for my abrupt disappearance. I&apos;m quite tired, but I just wanted to check in and post a couple pictures until I can write a real post. I&apos;ll see you again shortly! P.S. Margot loves David&apos;s family&apos;s dogs, but they are far less enthused about her. 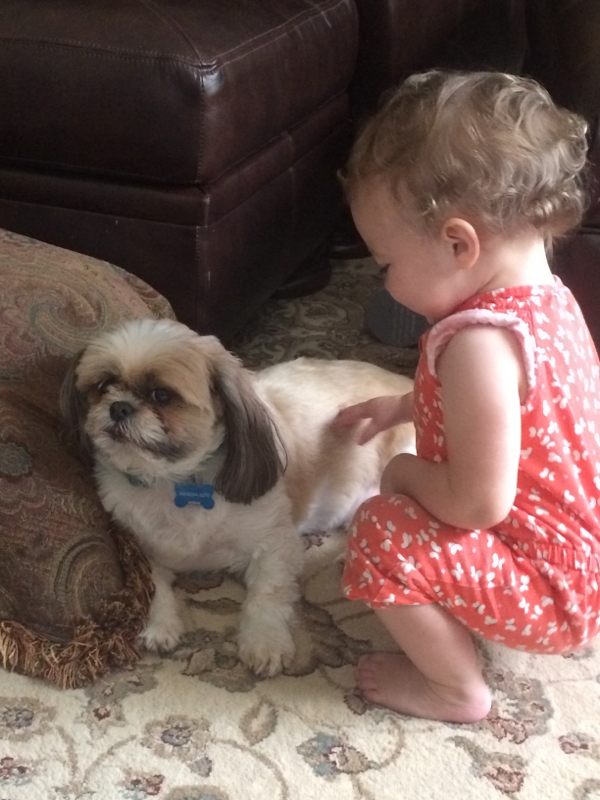 This picture perfectly captures their relationship- Margot happily petting Coconut, while he hopes that Margot will leave him alone if he just pretends she isn&apos;t there hahaha. No such luck, Coco! 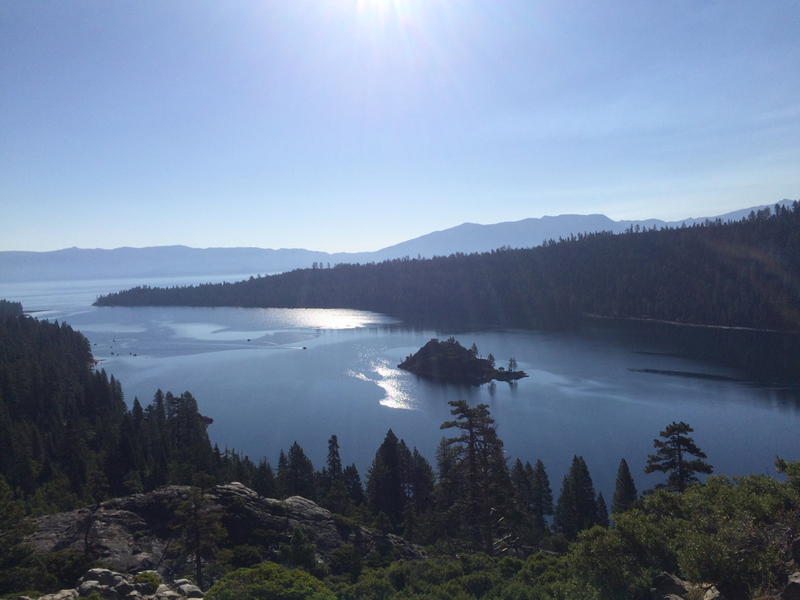 Somehow in all the hullabaloo I forgot to blog about our trip to Lake Tahoe at the end of last month. Better late than never, no? Every couple of years my family does a huge family reunion, and this year it was held in Tahoe. I had never been before, but it definitely lived up to the hype of how beautiful it was! 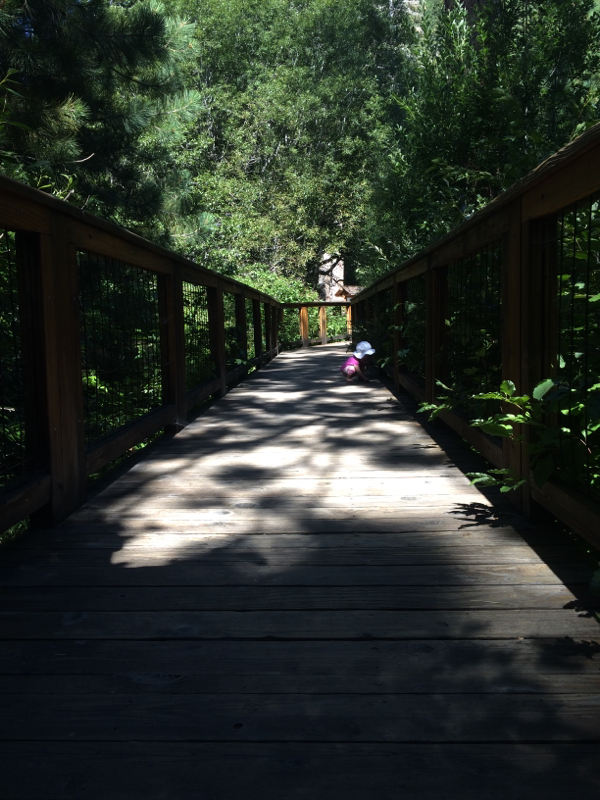 We tried to do a little bit of everything- hiking, relaxing, kayaking, shopping, eating, and just enjoying time together with family we don&apos;t see that often. It&apos;s always been tradition to hold a week-long poker tournament, but so many of my cousins were old enough to play that we only ended up playing one night. It didn&apos;t effect me too much- I&apos;m terrible at it, so I generally avoid it as much as possible. I loved spending time with my extended family, but also enjoyed being with my little three person tribe as well. 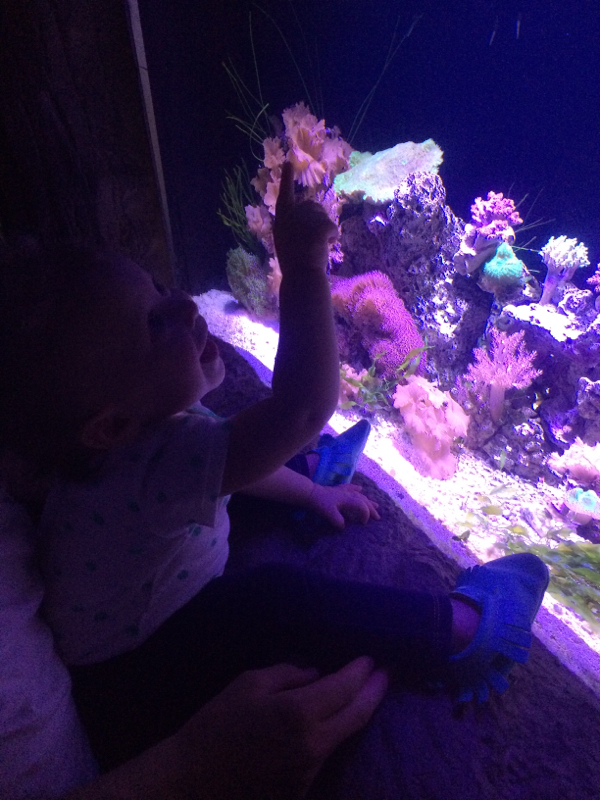 It&apos;s a blast watching Margot explore and experience things for the first time, so I think that made the trip even better. It&apos;s funny, before I got married I was worried that I wouldn&apos;t be able to travel as much, but now I just travel with my best friend in tow. Then when I was pregnant, I was worried we would never do anything because of the baby, but we just bring her along and have an even better time than we would have without her. Big shout out to my parents, though, for watching her when we needed a break! 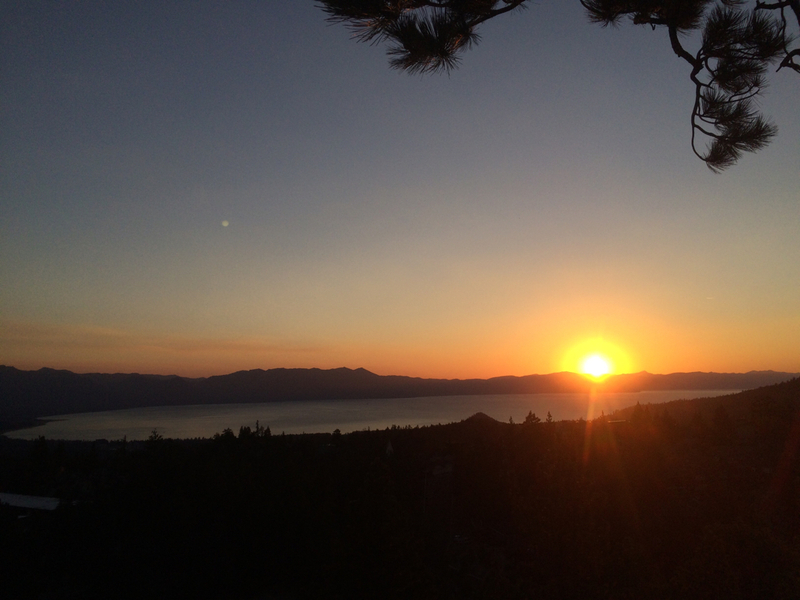 The family reunion trip was a huge success, and I would love to visit Tahoe again someday. Maybe next time we will camp! Do you have any favorite vacation spots or family trip traditions? And here we are again! Another weekend roundup coming atcha live from crackle + hum! That awkward moment when I haven't really been listening to anything new this week and had to pick something random off of one of my playlists? Oh well. I'm pretty sure this video went viral when it first came out, so it's worth a watch anyways. So.. who is excited for fall?! *enthusiastically raising hand* Me too, guys. Me too. So let's pretend like it wasn't 90 degrees today and instead imagine it was a day in late October. Apparently military green is a big color this season? Which is convenient since I just bought a sweater similar to the one above, although admittedly mine is more of a forest green. In addition to being excited for fall, who wants to travel to Thailand with me for the floating lantern festival?! The Disney movie Tangled is my jam, so ever since I found out the floating lights were a real thing, I've been singing "I've got a dream! I've got a dream! I just want to see the floating lanterns gleam!" Okay, so this movie is a follow up to a tv series called Firefly. Firefly was cancelled 11 episodes into the first season, and (like most weird things that end early) grew a cult following after its cancellation. I wasn't particularly blown away by the tv series- it was entertaining enough to finish the season and wonder what happened to the characters, but I wasn't really emotionally attached to anyone. This movie, though, is everything I hoped a Joss Whedon sci fi western would be. 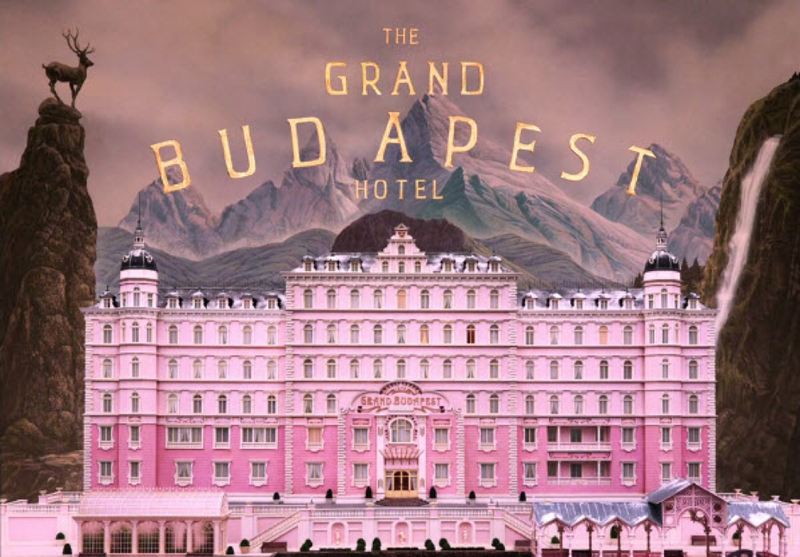 It was equal parts funny and intense, and did a great job wrapping up the story lines without going overboard. Overall, I enjoyed it much more than I thought I would, although I probably wouldn't watch it again. This hit me hard when I read it this week. I'm someone who has put myself out there for people, who then weren't there for me when I needed them, instead of building relationships with those who loved me back. One nice thing about getting married and having a baby young is that I quickly learned who my real friends were. It's hard adjusting to this new life as a family of three, and sometimes that has meant I've been flakier than I would have liked. However, my close friends have stuck around through this learning curve, and know that I'll be there for them when their lives get hard, too. The same thing goes for family! I am so lucky to have an incredible family. There have been times where I have taken them for granted, but now that I have a family of my own, I realize how blessed I am for their love and support. This week, let's work on developing our relationships with people who consistently show they care about us as much as we care about them. Happy weekend, friends! Today I spent most of the day on the floor, chasing my daughter and picking up after her and biting my tongue when she tried to brush my hair but got the brush stuck in my bun. I tickled and fed her and tried to put her down for a nap several times but she would. Not. Have. That. I cleaned up yogurt that was dumped on the floor and pretended to eat cheese on a lettuce leaf because she made it for me. I changed five poopy diapers and found one lightly used diaper under the table, apparently she figured out how to remove it herself (that also explains why she was running around in the buff earlier). I laid on the couch quite exhausted and watched her dump all of her toys out, then she brought me a book and quietly looked at it with me while I held her. She refused to eat anything but cheese for dinner but somehow still made a big enough mess to require another bath. It was overall an average day. But today, for the first time, she paused in her play, ran over to me, and gave me a kiss. The sweetest, slobberyest toddler kiss right on the lips. She flashed a huge smile and went right back to playing. But that kiss was so reaffirming and wonderful and heartwarming that my whole day was elevated from average to amazing. I wasn&apos;t sure my love for her could grow any more, but I am constantly surprised with how much that love can grow in a single day. I love you, sweet Margot. Thank you for making our lives perfect. Urine for a real treat today..
Today, my daughter peed on the floor at Gap. We had just left a mommy play date at a splash pad nearby, and hearing rumour of an amazing sale, we stopped on our way home. I briefly contemplated changing Margot out of her swimsuit and swim diaper before placing her in the carrier. I thought better of it. "We'll only take fifteen minutes!" I should note, Gap has become my weakness lately. Every time I've gone recently, I have found some great basics for cheap. I continued with this pattern today and loaded my arms up with shirts, pants and sweaters to try on. SHE PEED RIGHT THERE ON THE FLOOR. THROUGH ALL HER CLOTHES. And it was a lot of pee! Like probably a whole cup. She stepped in it and happily trekked little puddles around the dressing room. I hadn't brought the diaper bag with me, so I had nothing to change her into. I quickly changed back into my clothes, mumbled something about a spill and needing paper towels to the sales associate. After mopping up what I could, I strapped Margot, STILL DRIPPING WITH PEE, back in her front carrier. I hurried through checkout with a few things for us before racing outside to go home. We were both soaked in Margot's urine, it was so gross. And somehow she managed to pee two more times on the floor of our apartment before I could get her into the bath. So that was our Monday. How was yours? Apparently these roundups are the only thing I'm really good at doing semi consistently. I don't feel like I have very much else to write about on this blog at the moment, so this is what you get for now. Also I'm posting this a day early because I can. Ready? Okay! I went shopping at Target with my mom last week and found THE BEST overalls. I think we bought them a week ago, and I have worn them 4 of the last 7 days. yolo? (is yolo still a thing?) I got the cutest backpack too, I couldn't find a picture of it, but I loved the one above as well. Can you guys believe that is an OIL PAINTING?! Blows my mind. Some days I miss being an art student. I miss constantly creating and looking for inspirations and being surrounded by interesting people and ideas. I want to jump back on board, but my art supplies were stolen off our doorstep last fall and I haven't been willing to drop the funds necessary to replace all that was lost. Occasionally I still draw, but man do I miss oil painting. Especially textures! So this isn't the usual book/ movie, but Zoella is one of my favorite youtubers. She's always so upbeat and enthusiastic, sometimes she does beauty, sometimes lifestyle videos. I like turning on her videos while I'm cleaning. Plus she has an English accent so she is fun to listen to! This isn't my favorite video of hers, but it is the most recent. I had a hard time picking a thought this week, so I'm sharing a favorite poem instead. It came into my life at a time when I really needed to hear it, and I've returned to it many times since then. 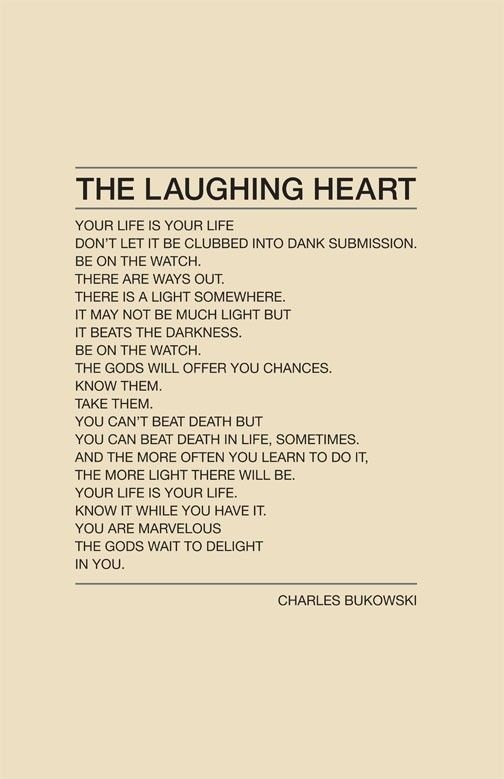 I like many of Bukowski's words but these are my favorites. Well, that's all folks! Thanks for hanging out here with me- hopefully I will soon feel like I have more to write about and share. Have a glorious weekend!